DJ Rage has been holdin’ it down in San Diego, California. 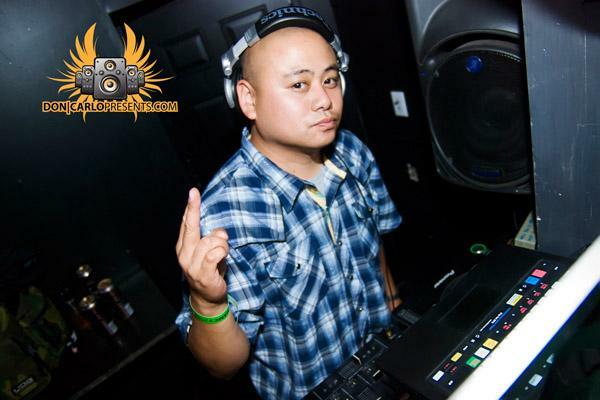 His DJ career began as a mobile disc jockey with his first DJ group called Turntable Wizards, then later teamed up with 3-Style Attractions, which turned out to be a well-reputable DJ group within all of California. Because of his hard work, determination, and perseverance, while spinning at private events, weddings, proms and high school dances, DJ Rage’s career rapidly elevated to another level when he was given the opportunity to work in the radio industry in 1995 for San Diego’s #1 hip hop and R&B radio station, Jammin’ Z90 (www.z90.com). Upon entering a new scene, DJ Rage hit the radio industry as a “Z90 All Star DJ”, where he DJed the weekend show called, “Street Party”, then later did the “Drive at 5 Mix” on Monday through Friday. Until now, DJ Rage has continued to rock the airwaves for San Diego. His mixes have been heard by millions not only locally, but worldwide. Currently, DJ Rage is a member of the “Bumsquad DJz” and the “Sharpshooterz Crew”. Amongst many of his accolades, just to add another line to his resume, DJ Rage is known as the NFL San Diego Charger’s Official DJ. The San Diego Chargers as well as their fans jam to his mixes at all of their home games as well as the after parties for the team. His resume includes DJing for car shows like “Hot Import Nights”, “Extreme Autofest”, for clothing and shoe companies like “Alphanumeric, DC Shoes, Nike, Tribal Gear, True Clothing, and Illiss Lifestyle. DJ Rage has also worked for organizations such as Xbox 360, ImportCulture.com, BabeBlvd.com, Kafe Skateshop, Willy’s Workshop, The Amory and DJing Kendra and Hanks Wedding shown on Television on E! Other endeavors include opening for several well-known music artists such as Ice Cube, Snoop, Mitchy Slick, Akon, Ciara, Lil Flip, Common, Ja Rule, LL Cool J, E-40, Ludacris, Mya, Xzibit, Christina Milian, John Legend, Pitbull, T-Pain, Frankie J, and many other artists. In addition, he works closely with major record labels such as Def Jam, Interscope, Capitol Record, Sony, and various other labels. DJ RAGE can be heard mixing at Club Deviate and all the hottest clubs in San Diego. He has played in various cities and countries such as, Las Vegas, San Francisco, New York, Chicago, Los Angeles, Hawaii, Mexico, Dominican Republic, and his country of origin the Philippines.